Dr Nayar was appointed as an Associate Professor in the Department of Surgery, Faculty of Medicine and Dentistry, University of Alberta and a Maxillofacial Prosthodontist at the Institute for Reconstructive Sciences in Medicine (iRSM), Canada in July 2013. 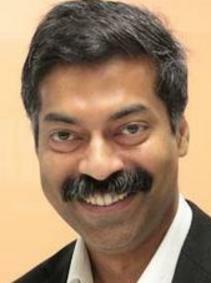 Dr Nayar graduated from Government Dental College in Calicut in Kerala, India in 1993. After completion of post graduation degree (MDS) in Prosthodontics from Manipal University, India, he worked as Prosthodontist in the Middle East before embarking on further specialist clinical training in the United Kingdom where he was awarded Specialty Memberships from the Royal College of Surgeons of Edinburgh (MRDRCS) and Royal College of Physicians and Surgeons of Glasgow (MRDRCPS). He subsequently was awarded a Fellowship of the Royal College of Surgeons of England (FDSRCS). During his specialist clinical training, he also embarked on a Research Master of Philosophy (MPhil) degree that was awarded in 2012. After completion of his specialist training, he was appointed as Consultant in Restorative Dentistry and Oral rehabilitation at the Hull & East Yorkshire Hospitals NHS Trust and as an Honorary Senior Clinical Lecturer/Hon. Consultant at the University of Sheffield in 2009. His clinical remit included management and restorative rehabilitation of patients with Head and Neck Oncology, patients with congenital and developmental deformities and of patients with craniofacial trauma. He has been the Hon Secretary of the British Society of Prosthodontics for the past 3 years and currently the Asst. Hon Secretary. He is the Hon. Web Editor of the European Prosthodontic Association since 2008. He was an examiner for the Dental Membership exam (MJDF) of the Royal College of Surgeons of England and for the Overseas Registration Examination (ORE) conducted by the General Dental Council (GDC) of the United Kingdom since 2008. He was also the Regional Advisor in Restorative Dentistry for Royal College of Surgeons of England for the last 3 years.